CMG Sprinklers and Drains 405-226-0629 e-mail cmgsprinklers@hotmail.com Servicing Central Oklahoma including: Norman, Oklahoma City, Moore, Edmond, Midwest City, Del City, Yukon, Mustang, Blanchard, Newcastle, Purcell, since 1993. Lawn Sprinkler Installation involves lots planning and design. Experience is a must. CMG Sprinklers and Drains takes great pride in each Sprinkler System that we install. We strive for perfection while benefiting from our vast Sprinkler Installation Experience. We Go so far as to provide 25 tips that all home owners should know before installing a Sprinkler System. THE SPRINKLER TIPS ARE FREE WHETHER WE INSTALL A SPRINKLER SYSTEM FOR YOU OR NOT! JUST CLICK ON THE “25 SPRINKLER TIPS” TAB AT THE TOP OF THE PAGE. CMG also solves Drainage Problems for homes or small businesses. Heavy rain and storm water runoff is common in Oklahoma. Standing Water damages sidewalks, driveways, foundations, not to mention damaging plants, grass, and trees. CMG can quickly diagnose your drainage problems and design a drainage system to fit your needs. 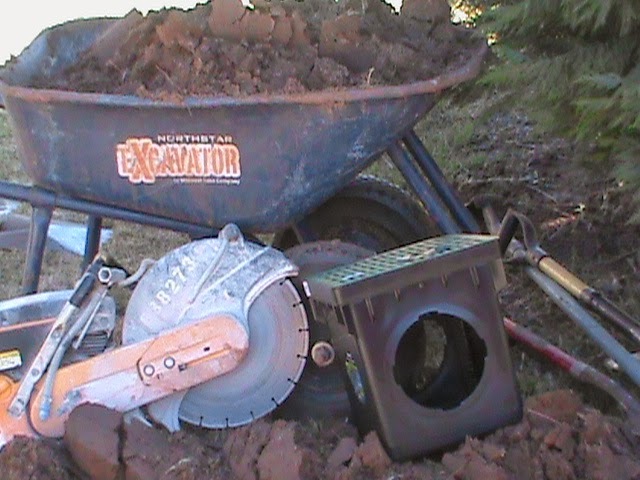 We Utilize: French Drains, Surface Drains, Channel Drains, Basin Drains, Trench Drains, Basement Drains, and Sump Pumps. 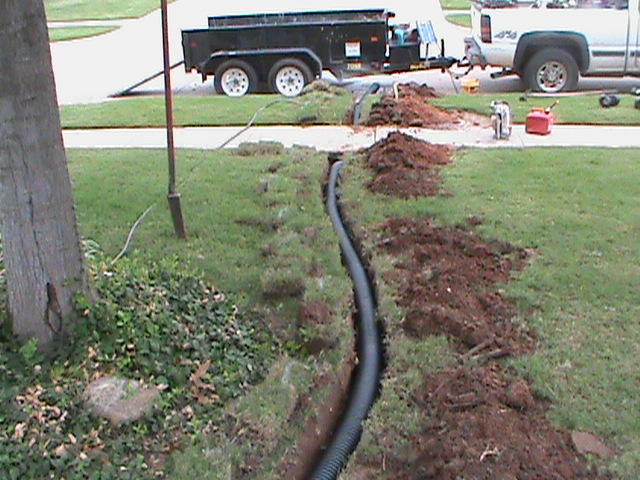 This allows us to handle a wide variety of Drainage Problems that can be simple or complex. Like Sprinkler Installation, Drainage Systems require experience and attention to detail. 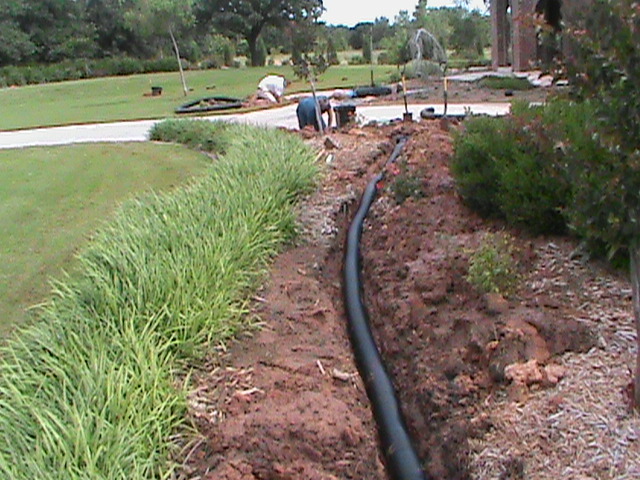 We strive to provide piece-of-mind for our customers with installation of a CMG designed Drainage System. 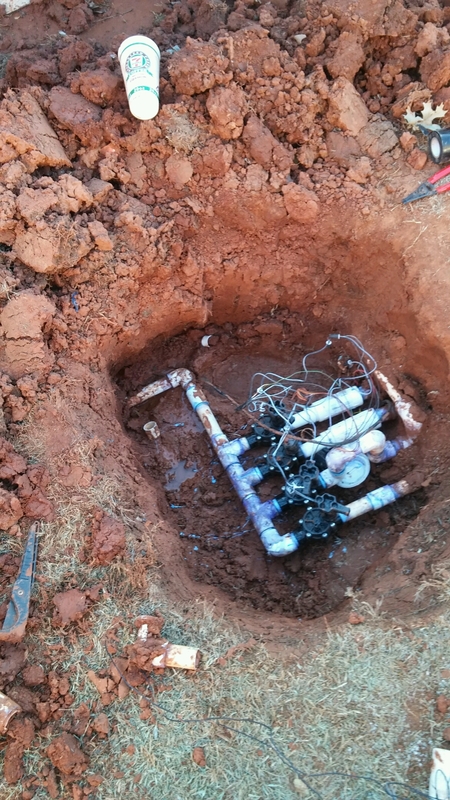 Last but not least, CMG provides expert Sprinkler System Repair. The list above are just the most common problems that we can help with.